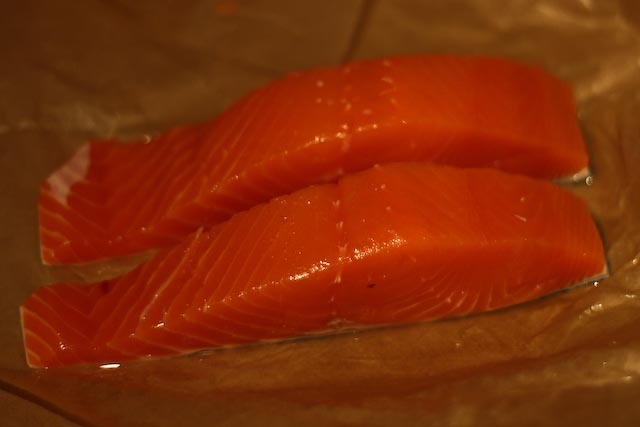 Over the last few years, I’ve read several articles that feature wild salmon as one of the healthiest foods you can eat. Well that’s just awesome, because it happens to be super yummy! We would have salmon at least once a week when I was younger, and since we lived in the Northwest, it was always wild and always fresh. Out here on the East Coast it’s a bit harder to find good wild salmon (at least without paying an arm and a leg for it!). But sometimes it’s worth the splurge to get wild salmon over it’s farm-raised distant cousin. We weren’t extremely hungry at the time, so I cut a roughly 6oz piece of salmon into two pieces. The marinade recipe below would be sufficient for two (or more) larger pieces of fish. 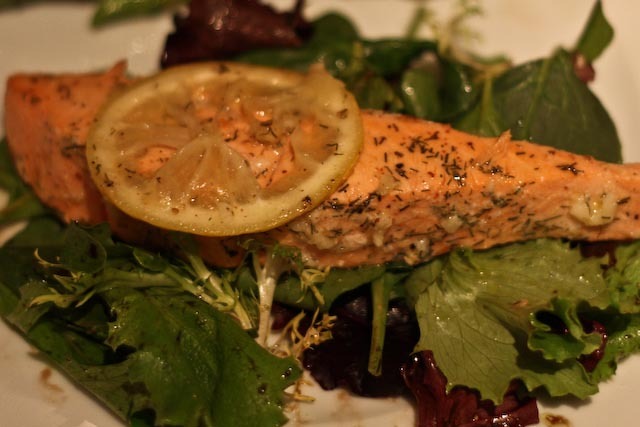 Lemon is one of my favorite ingredients to cook with and it pairs excellently with fish – especially salmon. 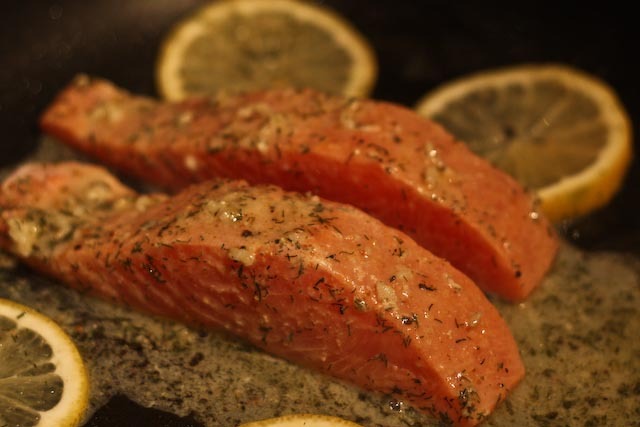 My mom used to marinate salmon with mustard, lemon juice, olive oil, garlic and dill, and I always loved it. 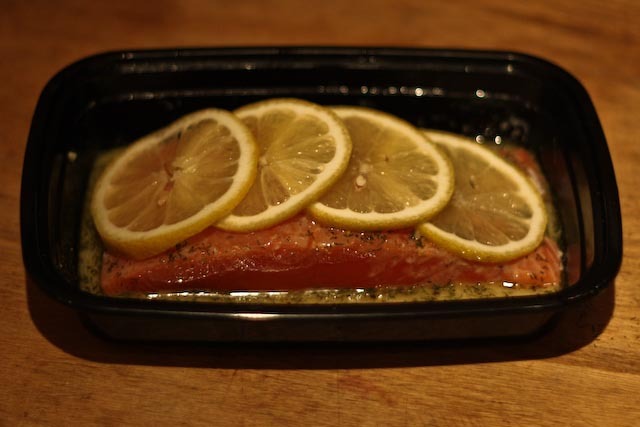 So that’s pretty much the only way I marinate salmon nowadays -and it’s delicious!! This marinade is great for salmon cooked in a skillet, broiled, or even on the grill. I used dried dill here (the market was out of fresh dill), but if you can get your hands on fresh dill, then definitely use it! 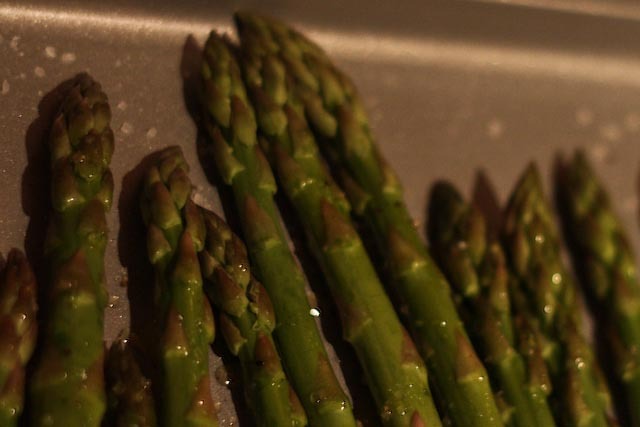 I cooked mine in a skillet over medium-high heat with a few lemon slices tossed in as well. I usually leave the skin on while I cook it and then remove it before serving. 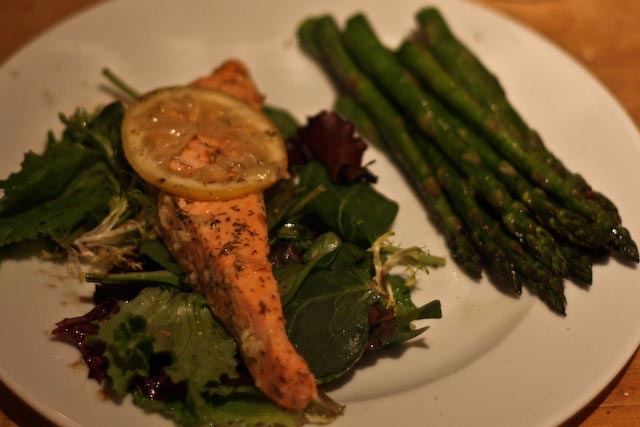 Asparagus is one of my favorite vegetables, and roasted asparagus pairs really nicely with this lemony salmon. 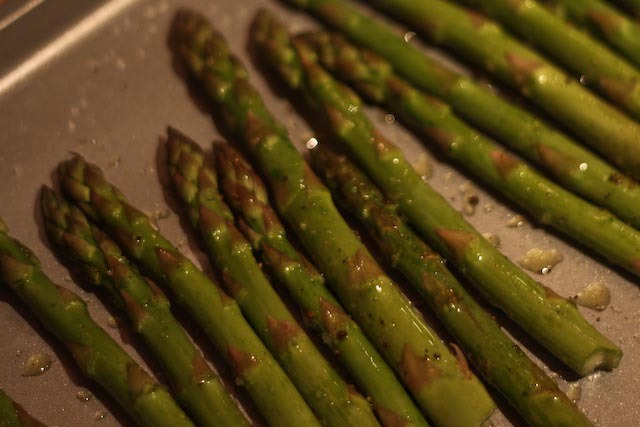 To roast, I simply toss with olive oil, salt and pepper and bake for about 10-12 minutes at 350ºF. I like to serve the fish over a bed of spinach or greens tossed with a little olive oil and balsamic vinegar. Combine marinade ingredients and pour into a shallow dish large enough for the salmon to fit. Place salmon in the dish skin side up at first to coat the meat, and then turn fish over with skin side down. 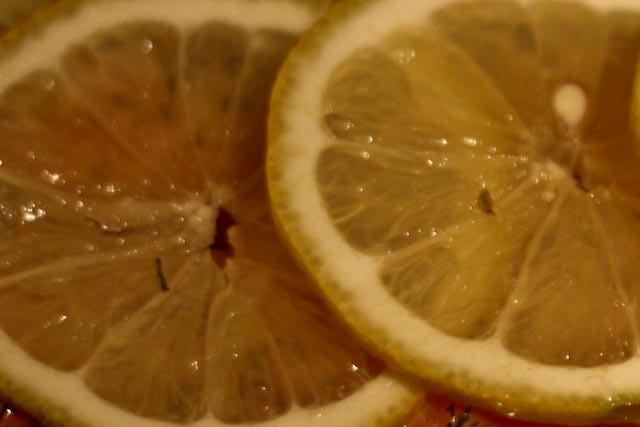 Place lemon sliced on top. Alternatively, pour marinade into a large ziploc bag, add the fish pieces and lemon slices, seal the bag and coat all sides of the fish. Marinade for at least 15 minutes and up to two hours prior to cooking (if longer than 15 minutes, place in refrigerator). In a large skillet – prepared with olive oil or cooking spray – and over medium-high heat, cook salmon for about 7 minutes per side or until just cooked through. The center of the fish should no longer be dark pink, but the fish should still be very moist. Serve warm.